I grew up in a quintessential upper middle-class Chettiar family in Chennai. In the 1980s, most of my summer holidays were spent with my grandparents in Chettinad -- a region tucked deep down in South India between Trichy and Madurai. 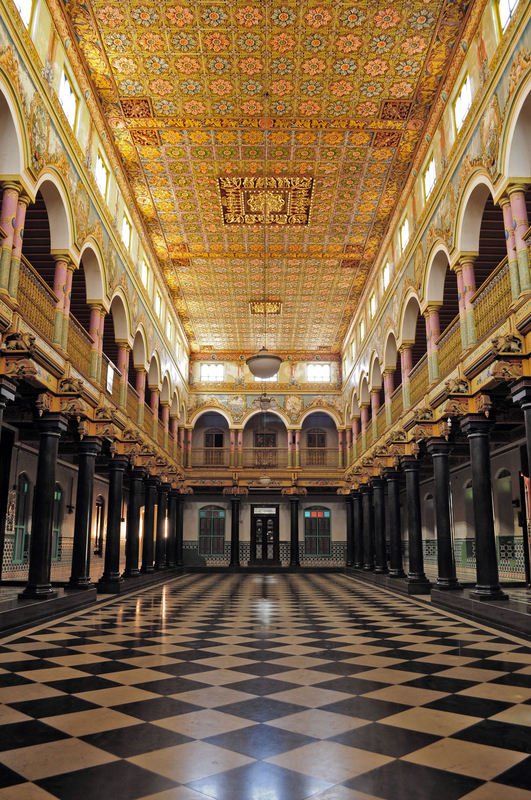 It is the residence of the Nattukottai Chettiars, a community of traders and bankers. After a long gap of 15 years, last summer I went back to revisit. Here's a compilation for fellow travellers seeking to unravel a new place and culture. 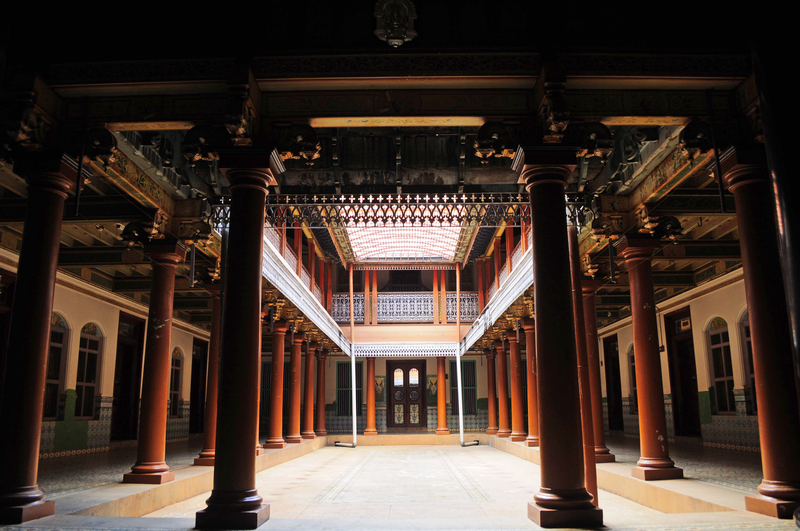 You are bound to be intrigued by Chettinad's huge century-old mansions that stretch from one street to another. Nattukottai in Tamil means 'countryside fort'. The mansions, which feature elements of neoclassical and Victorian styles of architecture, are standing symbols of grandeur and opulence. The stucco embellished exteriors, gigantic and intricately carved teak doors, open courtyards, egg white plastered walls, Italian marbles, Spanish tiles, Belgian chandeliers, Burmese teak pillars, and indigenous Athangudi tiles will keep you riveted for much of an afternoon. The villages of Chettinad and the surrounding areas are characteristic of rustic and idyllic rural life. Agrarian communities, living and working side by side with artisans and masons, bring fresh produce to weekly markets (known locally as shandys). Every village in India has a temple but in Chettinad each village has a quite a few temples. There are nine clan temples spread within a 25km radius. Mathur temple, Iranikovil temple, Vairavanpatti temple and Pillaiyarpatti temple are some that have an impressive facade in addition to beautiful interiors. Interestingly there is also a rare Saraswati temple here. The spicy cuisine of Chettinad has found its way to the menus of many South Indian restaurants across India, but there is no better place to taste local delicacies than right here. From steamed rice noodle cakes (idiyappam) to crunchy deep-fried murukkus to unique Chettinad lamb and chicken dishes to sweets such as seeyam and badam barfis, you are bound to find something that suits your palette or piques your interest. Every temple has an annual festival called the Thiruvila. It lasts many days and brings the entire village together. The temple deity is brought out in a wooden masterpiece called the Ther and pulled around the temple premises. The Thiruvila ambience -- saturated with song, dance, drama and music -- and infused with devotion and celebration, creates a unique, authentic and unforgettable atmosphere. The Chettiars invested a lot of money not only in their mansions, but also in day-to-day utilitarian, household items. These high-quality items (often made of gold and silver) have now become high-value antiques. Look out for exquisite wood carvings in doors and pillars, glazed clay pots for storage, copper water heaters, paintings from the Ravi Varma school of art and Tanjore paintings, to name a few of the specialities that you will find at heritage accommodations or at the antique market in Karaikudi. South India has many grand, majestic and breathtaking temples. Even among those the Madurai Meenakshi Amman temple is a jewel. Madurai is about 90km from Karaikudi and therefore can be comfortably managed in a day trip. In the early part of the 19th century the affluent Chettiars brought home a wealth of ideas and artefacts from their travels overseas. The Athangudi tiles are said to have been inspired by patterned European carpets. But now these tiles have become famous nationwide and are a hallmark of sustainable and eco-friendly flooring. In a little village called Athangudi, you can see how these tiles are produced. Hand looms are popular in most South Indian villages. Chettinad handloom saris (Kandangi saris) are made of coarse cotton made for rough washes. They generally come in earthy colours such as red, orange, brown and chrome. A visit to a Chettinad handloom or weaving centre will give you new additions to your wardrobe as well as an insight into how these distinctive saris are made. A little walk around this university campus will make you see and believe how the vision and generosity of one person can transform the lives of a village, city and nation! Karaikudi blossomed with this university. There are a number of mansions that have been converted into heritage properties to give you an immediate feel for the place (Chettinad) and the people (Chettiars). From here you can navigate the surrounding villages to accomplish all of the above! And here is a short video to give you some impressions of Chettinad.